According to Tyler Kingkade, students now pay more of the cost of attending public universities than do state governments. So much for the public in public universities! The milestone was actually reached in 2012. 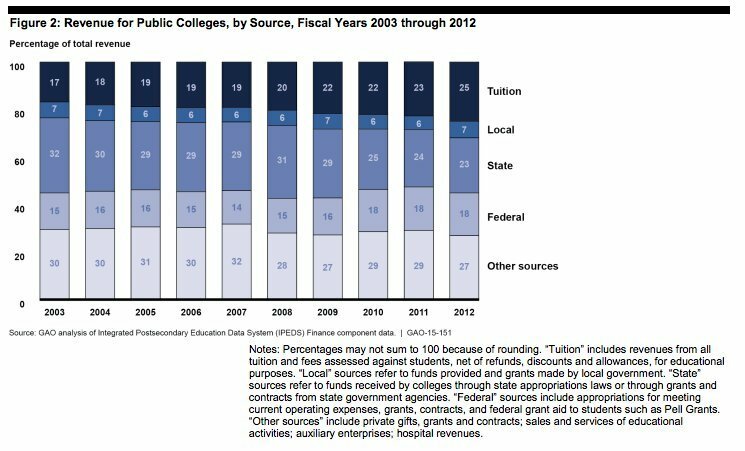 And there are still other public monies (from local and, especially, the federal government) that are being used to fund public higher education. 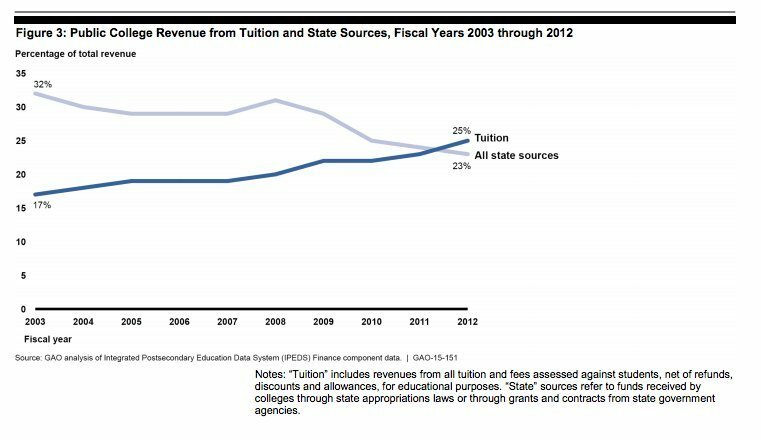 But the state portion has declined since 2003 from 32 to 23 percent, while tuition revenues have increased from 17 to 26 percent. No wonder students and their families are going deeper and deeper into debt. Everything and person from the middle class down is saturated in debt because we operate under a debt money system. This will not get better without a major financial reset which usually means a severe depression and then a big war. This is part of the cycle since this system was instigated. The run up to the reset is one of debt/money/wealth creation and confiscation by the owners of the system followed by the reset, repeated ad nauseam.